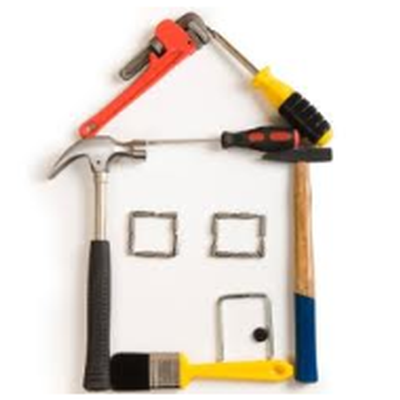 With the arrival of spring, you might be itching to start some new home improvement projects. But, before you do, did you know that certain ones can reduce your home insurance costs? Below are six DIY projects that can save you money! Did you know that an inexpensive no-burst stainless steel hose from your local hardware store can reduce your home insurance premium by 10 percent? Attach it to your washing machine and reduce the risks of one of the most common causes of water damage. Because strong seasonal winds and other stormy weather can destroy your garage door and everything that’s inside, you may want to install an extra durable version. If you install one that’s hurricane-resistant, or fitted with horizontal and vertical braces, it can save you 10 percent on your insurance premium.Â As an added bonus, it will potentially pay for itself within five years. Smoke and carbon monoxide detectors are two investments that will reduce your home insurance premiums, but you should also consider investing in other alerting systems as well. They can detect plumbing failure, furnace failure, and inform you if your water pipes are frozen. These detectors, and other trouble detectors can be found online or at your local hardware store. For a savings of five percent, invest in fire extinguishers. You should place one in the kitchen and on every floor or your home. Â Since almost all fires start out small at first, having fire extinguishers on hand, and knowing how to use one properly could prevent a massive fire from devastating your home. They are also relatively inexpensive, and will help you feel more safe and secure. You’ll save 20 percent on your insurance premium, and give your home a new exterior appearance when you install fire-resistant siding. Metal, clapboard, fiber-cement and stucco are all Class A fire-resistant materials that are available in a variety of colors and finish styles to meet your design and style needs. Because worn shingles on your current roof won’t do much to protect your home when windy weather arrives, think about replacing your roof. Select sturdy roofing materials like metal, shake, or Class 4 modified asphalt shingles. By using six staples or nails per shingle instead of four, you’ll earn additional savings. These spring home improvement projects can decrease your premium. You’ll also save money when you drop additional structure coverage, increase your deductible, make automatic payments and combine home and auto policies. Call Tracy-Driscoll today at Â 860-589-3434 to see Â how you can save more money on your home insurance, and protect yourself through the season and rest of the year.